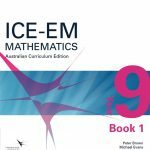 The ICE-EM Mathematics Australian Curriculum series is available from Cambridge University Press. The Australian Mathematical Sciences Institue (AMSI) self-published ICE-EM Mathematics from 2006 to 2010. We would like to thank our loyal customers for their continued support. 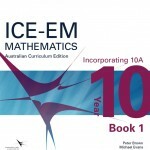 The new Australian Curriculum edition of the ICE-EM Mathematics series is now published by Cambridge University Press. The new editions retain the robust development of mathematical ideas that people have come to rely upon and incorporate the content of the Australian Curriculum, to ensure a smooth implementation of the new syllabus. 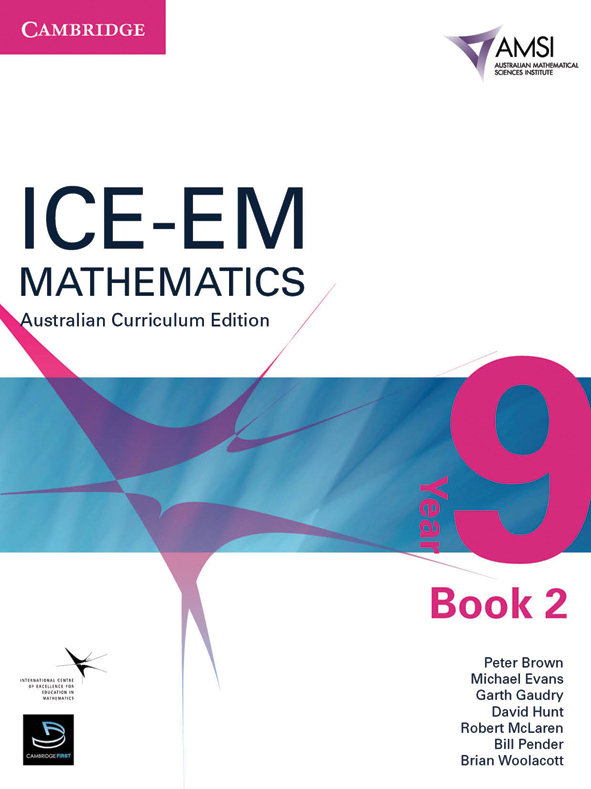 The ICE-EM Mathematics series develops a clear understanding of mathematical ideas and concepts for students with a range of abilities, needs and levels of interest. This new, full-colour series has been rewritten and developed for the Australian mathematics curriculum, while retaining the structure, depth and approach of the first edition. It covers all of the required content, as well as additional topics that are relevant and essential for a robust understanding of the subject. Spanning Years 5-10, the series has been developed to provide a coherent and solid development of mathematics ideas to support the transition from Primary to Secondary schooling.